Looking for better alternatives means growing. That’s why switching between different ecommerce platforms is natural thing. But how to become a winner in this crazy race and find the most suitable esolution? The answer is - only to analyze DEEPLY each of them and make a choice. Sounds scary, because it takes too much time, isn’t it? Relax, we have great news for you;) If you’re ZenCart user and dream about better estore platform, the information below is what you need. Let’s look through the brief carts` comparison before migration from ZenCart to Shopify to be 100% sure that the choice is right! Scroll down to find all the information. Zen Cart vs Shopify: Is This an Equal Comparison? Zen Cart is a user-friendly open source eCommerce solution for confident web users. It’s based on PHP/MySQL, fully customizable and free to download. Shopify is a popular hosted ecommerce solution that powers more than 1, 000, 000 users. It allows you to set up an online store and sell your goods. It is also fully customizable and highly SEO-optimized. Shopify lets you organize products, modify storefront, accept credit card payments, track and respond to orders in a few clicks only. If you want to try Zen Cart in advance, there no way to do it. There’s no free trial. You have to download full version, install it on your server, and, honestly, it’s not easy. You’ll need a lot of help setting up this online platform. ZenCart’s navigation isn’t intuitive. Be ready to spend a lot of time shifting through drop-down tabs because there are too many options on each of them. Some features are missed in the entering information, and there are complications with product adding and saving. But if patience is your strong side and you have a lot of time to understand and get used to ZenCart — this challenge wouldn’t be a disaster. Shopify is more comfortable to launch and use. You’ll omit all this staff with servers and development costs that can be incurred with self-hosted platforms like ZenCart. Forget about headache with simple, intuitive and user-friendly admin interface. Everything is clear and logically structured. Shopify initially is entirely ready for work. All you need is just a product to sell. Zen Cart is a free ecommerce platform. The only thing you have to do is to download it from the vendor’s official website. Its source code is completely customizable. You can easily modify or develop the program for individual business needs and preferences. Zen Cart has good features and services, making it a worthy competitor among other shopping carts. Shopify isn’t free eplatform, but don’t make hasty conclusions. For those, who want to upgrade online business it is well worth the investment. It is one of the best ecommerce builders available in the market today. Shopify is not the cheapest, but it offers the best value for money. There are three monthly pricing plans: “Shopify Basic” at $29.00, “Shopify” at $79.00, and “Advanced Shopify” at $299.00. There’s no need to pay immediately. Free 14-Day Trial is a great chance to try Shopify in action. Where to Find the Best Design? First thing the customers see when they visit your website is design. 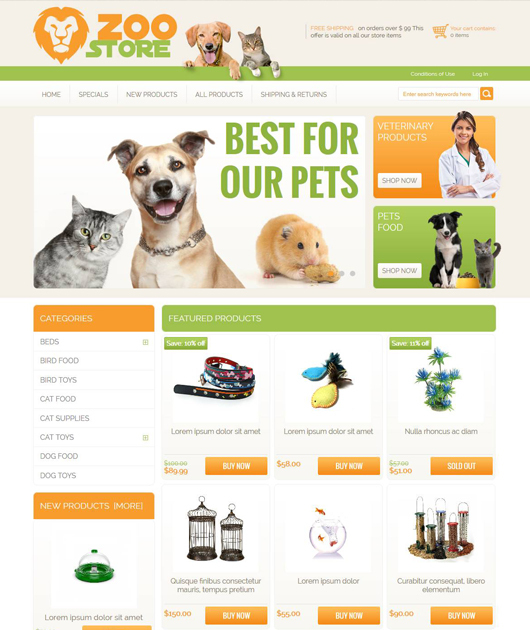 The theme and layout of your online store are what encapsulates your brand and product. And the more attractive, stylish and original the whole look is, the bigger possibility that user will choose YOUR estore. Themes variety it’s not about ZenCart. This solution lacks responsible and professional templates. With a set of technical skills you can customize them in accordance with your e-shop needs, but be ready to spend a lot of time. You can also download free templates provided by ZenCart community, but their design is far from the best. Shopify offers many free and paid customizable and mobile-responsive templates. 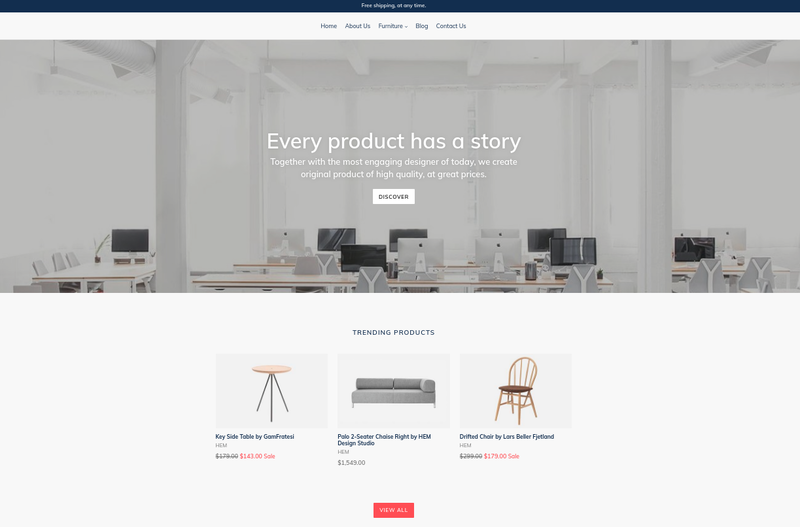 Find the best from the 100 + different theme styles in Shopify Theme Store. Created by the world-renowned designers like Happy Cog, Clearleft, and Pixel Union, all Shopify templates feel right. If you only start to work with Shopify, there’s a good option to use a default theme and customize it, play around with it, or even start fresh with a new one. Make your visual representation of business even more incredible, modern and unique with Shopify. Everybody claims about security importance. It’s one of the prime factors in choosing the eplatform. Reliable estore owner has tight security and the clients trust him. Current ZenCart vs Shopify comparison shows that differences are dramatical. The only few things ZenCart offers are daily backup, FTP access, and PCI compliance. It’s a little risky to expect that it will be enough. And what about Shopify? Yes, that’s it. We’re happy to introduce the safest e-commerce platform to launch your business. Shopify has everything to make the users feel safe. The company provides a bug bounties program to find and report program vulnerabilities. It’s a 3rd party platform, so anytime Shopify makes a security update it’s rolled out to 100% of their customers immediately, without any customer interaction or involvement. 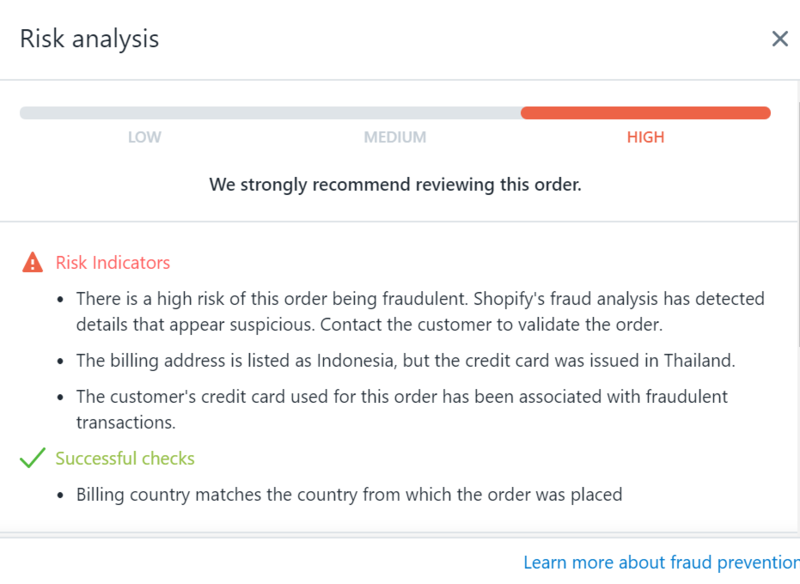 Class Risk Analysis Tool is another reason to call Shopify one of the most reliable eplatforms. It automatically assesses the risk of a fraudulent order and cancels if anything looks suspicious. Shopify benefits from clients’ safe. It’s the largest ecommerce platform company in the world, and most of its revenue comes not from monthly fees, but by taking a percentage of gross sales users’ stores earn. Security risks influencing your income influence on Shopify’s bottom line, so they pay attention to this aspect. The whole list of ZenCart’s payment gateways is long enough to choose the most suitable variant. If there’s not enough, probably, you’ll find what you need in Plugins and Add-ons Directory. The problem is that they are built on different ZenCart’s versions, so check compatibility and "requirements" to be sure your web server can use them. The main payment disadvantage is that there no multicurrency as well as discounts. Shopify has more than 100 payment methods, and it gives the company a significant advantage over other platforms. There are 3 sections to make choosing process more comfortable: major, international, and additional payment gateways. Payment processor allows you to control the balance and payment schedule right from the user dashboard. Receiving email alerts allows you not to miss when new funds come to your bank account. All payment details are synchronized with orders, making it easy to see how much you’ve been paid without ever leaving Shopify. There’s no possibility to have personal ZenCart support. They have forums, with advice and downloads, ZenCartWiki, with instructions for installation, customization, and upgrades, FAQs, with the most common questions, Facebook for updates releases and YouTube tutorials. In case it doesn’t not help, the only way is to hire ZenCart`s developer, and it’ll cost an arm and a leg. With Shopify, everything is vice versa. The company pays great attention to customers’ support. Available 24/7, the experts will instantly answer any question and help in your individual situation. Use phone, email or web chat. Community forums are also available to do everything with comfort and quickly find the solution. Shopify Help Centre plus a range of advanced Shopify University guides will provide you with a huge variety of documentation. With this ecommerce solution, there no chance not to find an answer. Money is always important. And if the priorities depend only on this factor and you have enough time and technical skills, ZenCart is a good choice. It’s free and supported by developers’ community. The only thing you have to do is download it from the website. ZenCart is made by experts, customizable and focused on user’s needs. But there are more cons than pros. You have to pay additionally to create a good website appearance because free layout version is poor and unresponsive. Upgrading the store to the new version you’ll face a lot of complications because the whole process is stressful and time-consuming. And finally, ZenCart is a considerable challenge for non-technicians. There no way to cope with this platform without expert’s help. Move to Shopify and be a winner! The impressive number of leading e-traders use this quick and easy to set-up esolution. Forget all worries about technical aspects. It is reliable, highly secured ecommerce platform with 24/7 customer support. It’s fully customizable and mobile-friendly. You’ll be overwhelmed with Shopify’s App Store. Add reviews, loyalty programmes, customer wishlists, get in-depth analytics, print labels and packing slips and more. The company does everything for client’s satisfaction. It’s integrated with dozens of payment gateways and offers its own which is powered by Stripe. After all being said, the reasons for ZenCart migration are obvious. 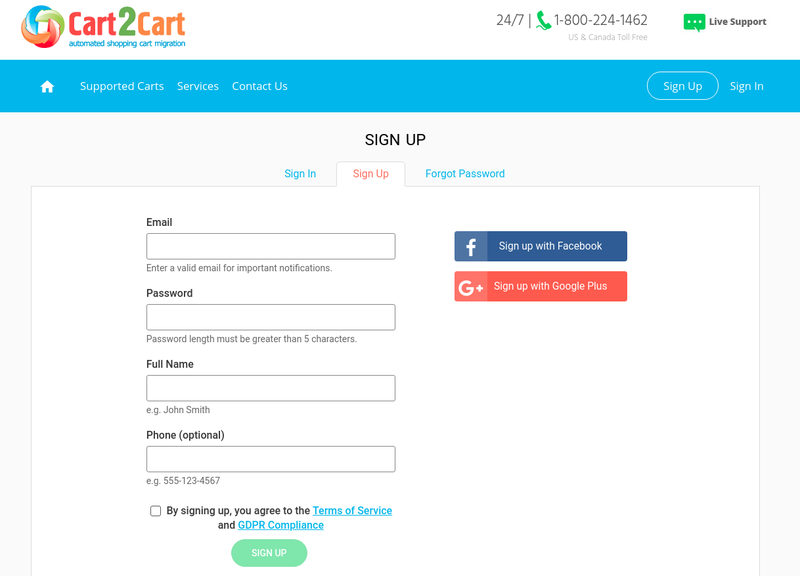 Let Cart2Cart show you how easy it is! Step 2. Set Up Your Source Cart. 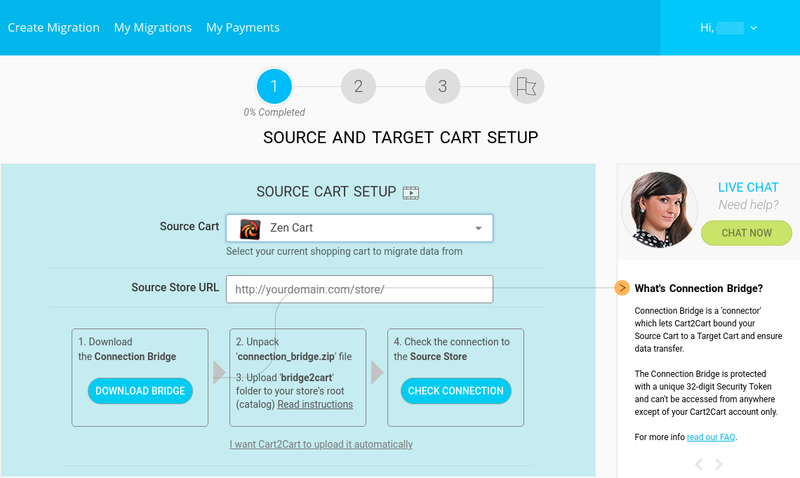 Choose Zen Cart as a Source Cart and provide your current store URL. Then, download Connection Bridge, unpack it from archive and shift bridge to the root directory. Step 3. Set Up Your Target Cart. Here you have to select Shopify as a Target Cart. Click on Install Plugin button to get Cart2Cart app. After that, proceed with the migration setup within your Shopify Admin Panel. It’s more convenient to work there. 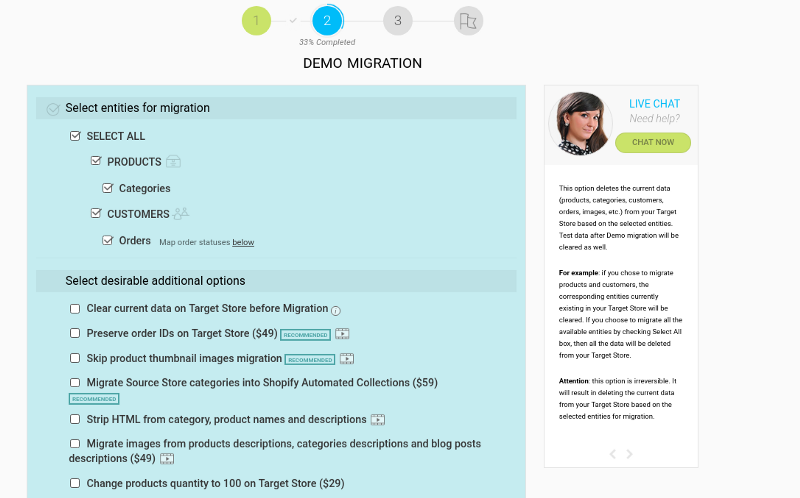 After that, click Choose Entities to continue your Shopify migration. Specify the entities you`re willing to move. You can transfer all data or choose only a few necessary items. If wanted, select some additional options which can expand the functionality of automated shopping cart migration. For example, Clear current data to save the right order in the new shop. Or skip product thumbnail images migration to avoid duplication. Check the whole list of ZenCart to Shopify migration data as well as additional options here. Step 5. Perform Free Demo Migration. 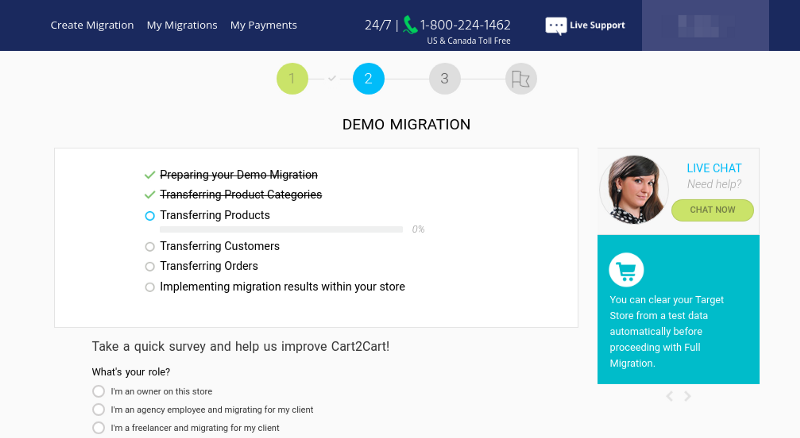 Click Start Demo Migration to see the service in action by moving a limited number of entities from ZenCart to Shopify. Wait until the migration is finished and check the results. You’ll also get email notification that a limited amount of data is moved to your Shopify store. The next step if Full Migration. Contact Support Team once you have any questions or your data transfer requires peculiar customizations. Now, you’re fully equipped with information on how and why to migrate from ZenCart to Shopify. We’ve considered all features of both platforms to make you sure that Shopify is the most worthy esolution among all ZenCart alternatives. You also know how easy it all works via Cart2Cart. The whole process is a simple and straightforward procedure. Forget about troublesome manual data input, plugins installation and code manipulations. Keep selling your products online while rapidly migrating to a new shopping cart solution because Cart2Cart does not affect the performance of your stores. Enjoy the unprecedented data migration speed for quick and qualitative transferring. And always count on Cart2Cart! 24/7 support will help and provide answers to any migration-related questions. Don’t wait! Start Free Demo migration right now and be on the top tomorrow. Happy migration! 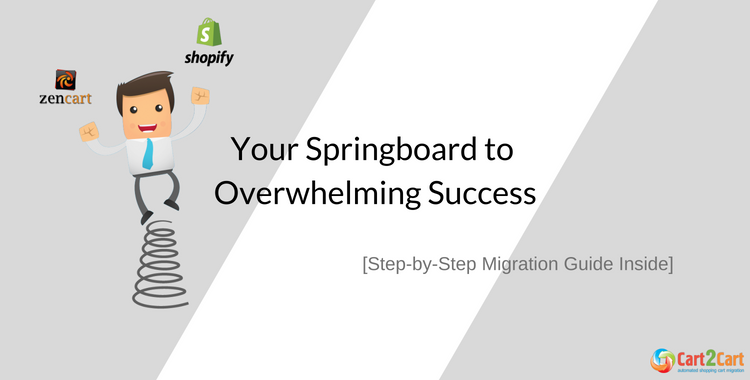 2 thoughts on "Why Migration from Zencart to Shopify is Your Springboard to the Overwhelming Success?" Yes, it is really beautiful blog.